Logistics in Finland is a very important and still growing field. Logistics does not have a single function; it involves many activities of transportation, warehousing, security and customer service with many qualified people. Small organizations provide us with an opportunity to get involved in many tasks while in one job position. Meanwhile, large companies expand our selection of skills in different departments. Here are some of the key points I learned from Logistics Labour Market Seminar. It was quite interesting how the guest speakers started their careers in logistics, especially since most of them were university students like us. It was well explained that job opportunities are open if we have an outstanding ability or are specialized in a specific field. This includes English language skills and computer skills that Metropolia Business School emphasizes. It was clearer to us that if we have people connections in an interesting field, it is not that difficult to get a job. Therefore, networking is the key. This is true not only in logistics, but in all fields! Petri Kelo was one of the speakers in the logistics seminar. He is Managing Director of a company called LogiSec Oy, which he established himself. Firstly he started by going through his education history which included business and international logistics studies as well as master’s degree studies in security. His career history included several logistics companies before he went on to establish a logistics company of his own. In his opinion, it is better to go to a bigger company for the entry-level jobs because the opportunities in bigger companies are greater. Kelo told us that he has travelled in each and every continent except Africa, and that it is crucial to network with people from all walks of life and it is good to use different channels in order to get these contacts. Furthermore, Kelo told us to differentiate ourselves from other students in order to get a job and in order for us to get a good job thesis work is extremely important. He stressed the fact that the students need to specialize on something even at a later stage, it will give you a competitive advantage over the other applicants. He also stated that you need to be seen as an individual rather than a group. Additionally, Kelo suggested that we start our way up from the “bottom”, so to speak. So if the job title offered is not exactly what we are looking for, we should still grab it because people who work hard usually get what they want. To conclude, networking and differentiation stuck to my mind from this speaker. Petri Kelo’s presentation was really interesting, and easy to follow. His English was clear, and he showed enthusiasm about his work. It was nice to listen to his points! ”Big enough to play, small enough to care”. In a very interesting seminar in Metropolia students had an opportunity to hear from different experts and different companies from the field of logistics. It was a great chance to broaden our views on this sector and provide new information. I found the Waco logistics company to be the most interesting part and decided to sum up what we learned from the managing director. Waco Logistics Finland provides transportation and logistics services. 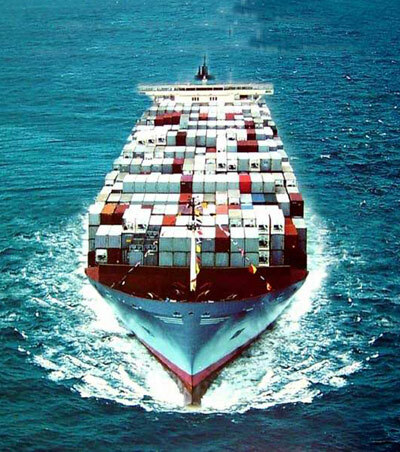 They are a freight forwarder mainly operating on air and ocean freight and they also provide warehousing and custom clearance. They have import and export activity outside of EU-countries. They also conduct business with strong partners worldwide and they have strong co-operation with owners. Waco Logistics Finland is a member of the Finnish Freight Forwarders Association and The Waco System. In Finland Waco have five offices and 45 employees with a turnover of 16.7 million euros in 2009. Anders Von Bell, the managing director at Waco Logistics Finland has some fourteen years of experience in the company. 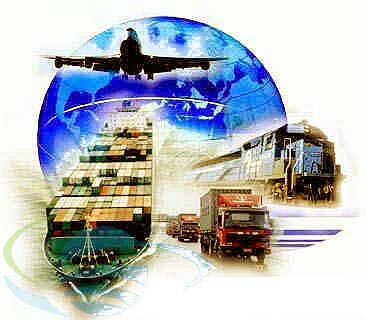 Logistics is one of the most international fields in business and offers great job opportunities internationally. According to Von Bell, a very important link in logistics is a forwarder who is a multi-skilled person and whose goal is to make the most out of the markets benefiting the needs of customers. The work of a forwarder is versatile, international, challenging and offers lots of opportunities career wise. To quote Von Bell, “Behind everything there is a forwarder”. There are a lot of characteristics needed from a forwarder but one above the others is the willingness to work in a service trade. As international as logistics is nowadays, Von Bell addresses the importance of extensive language skills in addition to good social skills. In general, he suggests that when going into the field of logistics it would be useful and beneficial to work in various areas and departments in order to develop different skills and see the big picture. Von Bell also reminded us as students not to be too picky in the beginning of our career because no one can jump straight into the big boots. Thanks for informing us. We have made the changes. I really enjoyed this seminar, it helped me widen my views about Logistics and I also admire those guest speakers, not only about their backgrounds, but also their professional way in giving us the best they know about Logistics!